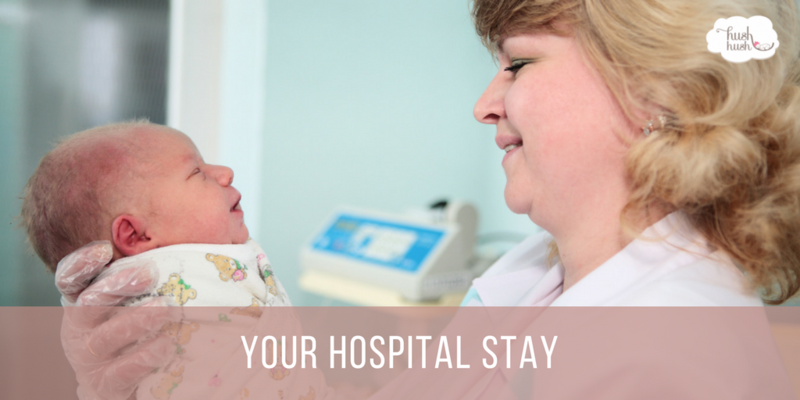 It is not uncommon for parents to have misconceptions about how their hospital stay will go after the arrival of their child. While there are plenty of joyous moments to celebrate together with family, there are also some unique challenges that come along with caring for a baby while in the hospital. So what sorts of things should you consider before your due date? Continue reading for information on newborn care in the hospital and how to best navigate your stay. The hospital staff is there to make sure your child remains healthy and develops appropriately. They are also there to make sure that mom has what she needs to heal properly. In other words, they are there to help. However, they are also very busy so be sure to communicate with them up front about your priorities. Perhaps your pain management is most vital to you, by sharing that with your nurse that can be more deliberate about medication delivery intervals. If it is rest you need most, ask your nurse about intentional rounding which is the idea that you minimize the number of visits by maximizing the number of necessary care actions per visit. Intentional rounding can also help with newborn care while you’re in the hospital by not frequently waking baby with tests. While it may be tempting to try to establish a schedule from day one, it is crucial that you “watch the baby, not the clock.” Instead, you can follow a routine, such as E.A.S.Y., or eat, activity, sleep, you time. Watch for hunger cues every 1.5-2 hours in those early days. Whether breastmilk or formula fed, you’ll want to make sure they are back to birth weight by two weeks. “Watch the baby, not the clock.” also applies to the amount of time you are nursing. Rather than limiting your child’s eating time to 10-15 minutes per breast, allow them to nurse until they show signs of being full. If you feel that this is taking an excessive amount of time, Hush Hush Little Baby has skilled lactation professionals that can help you establish and good nursing routine. Additionally, watch for sleepy signs after about 45-60 minutes of awake time. Newborn babies sleep a lot! If you or your child need to rest, it is okay to ask hospital staff to come back to check at a later time for routine vitals, emptying the trash, cleaning the bathroom, etc. One of the hardest parts of being in the hospital is the constant stream of staff that comes and goes at all hours during the day and night. Also, consider asking them to take your vitals and your baby’s vitals at the same time during the evening. It is possible that you and your child will have different care providers in charge of your vitals, therefore coming in at different times. Some hospitals do this automatically and some hospitals you may need to ask for them to be intentional about coming in together.